Sydney, we have liftoff! Our 2018 Season is well and truly launched. 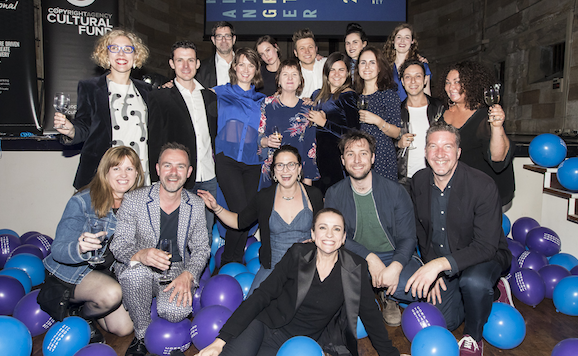 Five extraordinary new Australian plays will come to life at Griffin next year. This next generation of writing is fierce and funny and smart and angry and unashamedly theatrical. And it is all written for you by brave playwrights to provoke conversations about who we are as a nation and who we could be. Big questions, big characters, big possibilities…five big nights out. Have a look in our brochure — there are surprises, great ticket deals, awesome photos and way more information than I can give you in this newsletter, but it is going to make you want to subscribe! Rice is currently playing to packed houses in Albury (hello to all the Hotties!) and next week Diving for Pearls will start to preview. I’ve had a sneak peek, of course, and it is heartbreakingly great writing from Katherine Thompson, coming from the country’s best actors. If you haven’t already got tickets, book them. It is the most important Australian play of the 20th century. Have I mentioned that a subscription is a great Christmas present for your friends and families?